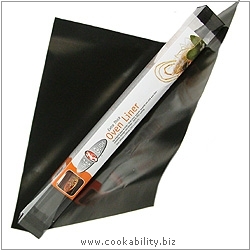 A range of non-stick reusable liners for use when baking, roasting, grilling, frying or microwaving. No oil, grease or fat is required when using Bake-o-Glide Multigrade; making life in the kitchen easier and healthier. With care will last hundreds of times and give years of service. Good from -40°C to 260°C. The original bake-o-glide oven liner. Smoother, stronger and thicker. PTFE coated.